Now I have seen this one and it is a Western Film that I like very much – in fact it is one of my favourite westerns !!! This was a beautifully filmed Western in Cinemascope which took us right into the USA where at that time few of us could ever dream of going. It looked so good though and created such an impession on us youngsters. The cinemascope screen in full colour meant that we were almost there with them and the final explosive climax to the film was – and is now – breathtaking. I have not seen anything much better. 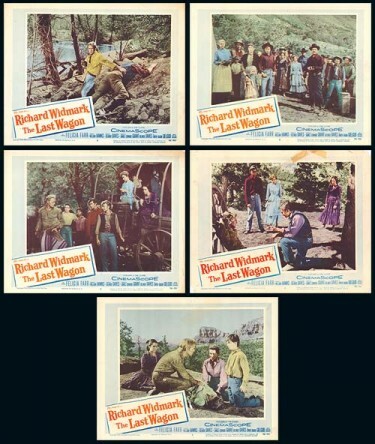 These are action Lobby Cards fromway back in 1956 – in England we tend to call them Front of House Stills and they were positioned outside so the passers by could get a tiny taste of what the film might be like. It was always exciting to see them though. Comanche Todd played by Richard Widmark is a white man who had lived 20 years with the Comanche Indians. However he is now a condemned murderer, captured and being taken in to be hanged. For security they all join a wagon train but the it is attacked by Apaches. A number of the younger members survive the attack and turn to Comanche Todd as their only chance of surviving in hostile Indian country. With Apaches on their trail, Todd takes the group through the aptly named Canyon of Death. Filmed on location in Arizona this film looks stunning; the valleys, desert and forests are simply spectacular as the landscape dwarfs the humans. Delmer Daves directed the film. 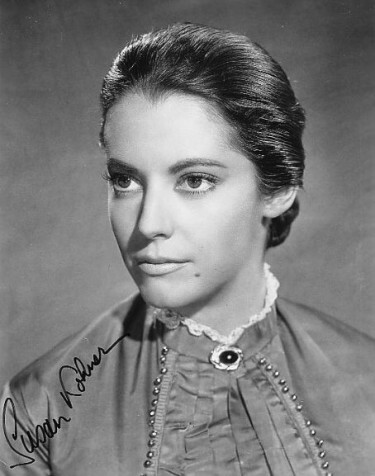 The beautiful Susan Kohner – one of the young survivors. 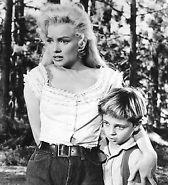 He also landed roles in movies, among them 1954′s River of No Return, starring Marilyn Monroe and The Last Wagon. Tommy Rettig being held close by Marylin Monroe. Now that would be something he would remember !!! After his film career was over – effectively when he had grown up he was in the wilderness for quite a while before he entered a very different world – The world of Computers. He built the first add-on library for Clipper, and pioneered the public domain tools that make all our jobs easier. Tom wrote articles for Data Based Advisor, appeared on FoxPro Advisor satellite TV conferences, and spoke at many developer events including the FoxPro DevCons. Tom Rettig’s Help and Tom Rettig’s FoxPro Handbook taught the intricacies of FoxPro. Tom’s ability as a programmer was legendary – he was a guru with a Hollywood-famous name. Yet he was one of the most friendly, accessible people you’d hope to meet. Tommy died in 1996 at the age of only 54. At the end of his life, he was again reunited with Lassie, as his ashes were spread off the coast of Marina del Rey onboard the LaSea, with Lassie present to say goodbye. 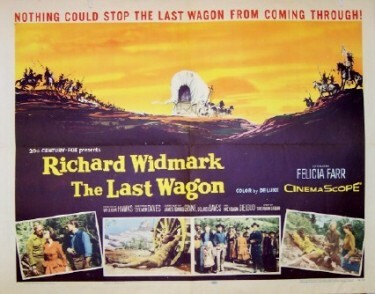 I saw the The Last Wagon at our local Pavilion Cinema many years ago and it was ages before I was able to see it again BUT , like so many, have never again seen it properly – that is on the Cinemascope screen and no matter how advanced our TV sets become – and they certainly are good – they cannot compete with that.